As we close out the 2001/2002 Jupiter observing season, let me preview a little of what to expect for the 2002/2003 observing season. Jupiter will be in opposition (Jupiter and the Sun are on opposite sides of the Earth) on February 3, 2003. Therefore, the Jupiter observing season will begin about November 1, 2002 (3 months before opposition) and end about May 1, 2003 (3 months after opposition). We will also continue our coordinated observing sessions for the 2002/2003 observing season. These are a targeted list of Jupiter and solar radio storms with high probability of observing success. Observers can interact in several ways: (1) call a toll-free number for telephone interaction with other observers, (2) join in with online chatting via free Skypipe software at http://www.radiosky.com/, and (3) collect data from your own antenna and share it via a data archive on the Radio JOVE website. Please look for future emails and/or information on the Radio JOVE website about upcoming coordinated observing. In the meantime, use your Radio JOVE telescope to monitor the Sun. The Sun is still very active, and will continue to be active over the next year. However, this activity will diminish as we get closer to solar minimum predicted to be sometime in 2005/2006. Enjoy a productive Spring and Summer in 2002, and let's get ready for Fall 2002! * The Windward Community College Radio Observatory (WCCRO, http://jupiter.wcc.hawaii.edu/) continues to stream data nearly 24 hours a day 7 days a week and has installed and is now operating a new log-periodic antenna. * The University Florida Radio Observatory (UFRO, http://ufro1.astro.ufl.edu) has completed installation of their microwave link allowing them to stream data. * 9 coordinated observing sessions were held. 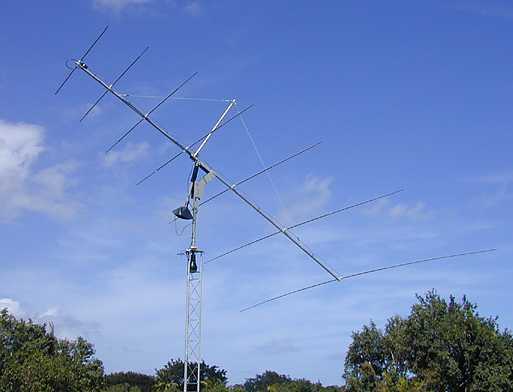 * As of the end of February, 2002 there have been 422 Radio JOVE receiver kits distributed to 45 states and 23 countries. These overseas stations coming on line with SkyPipe are giving Radio JOVE a global reach. We have two software programs which you may find are very helpful in your Jupiter observations. There are versions of these programs that are included with the recent Radio JOVE CD's in the kit, but you should try to make sure you have the latest versions. These programs are intended for Microsoft Windows based operating systems. We are including a few short articles about what Radio JOVE teams have been doing lately. Our first article is from Mary Lou West of Montclair State University. This is based on an abstract presented at the American Astronomical Society meeting this past January in Washington, D.C. The second article is from Br. Bernadin Marker an instructor at Franziskanergymnasium Kreuzburg in Großkrotzenburg, Germany. Please send us reports of the work you have been doing with Radio JOVE. We would love to hear from you! A student-built dual-dipole in-phase radio antenna with Radio Jove receiver has been used to observe the sun for an hour at local noon on most days for three months. The antenna is on the roof of a classroom building which is radio noisy. The background is about 95,000 K, much above the galactic background of 50,000 K. Nonetheless, many solar events have been detected at a radio frequency of 20.1 MHz. Of the solar events reported by satellites and then tabulated daily by http://sec.noaa.gov/ftpdir/indices/events about 33 percent were detected. These included flares and radio bursts originating from many positions on the solar disk. Higher sunspot numbers produced slightly higher detection rates. Lightning storms are spectacular and can be detected by radio when they are still far away. High school students as well as college students have been involved with this project and found it worthwhile. In the future we hope to find a quieter spot from which to observe. 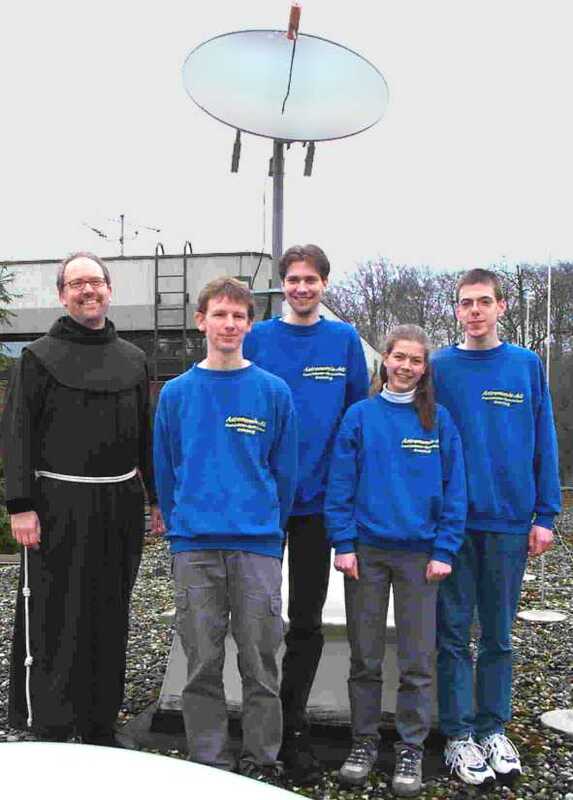 We are a Radio Jove observation group at the "Franciscan Gymnasium Kreuzburg" in Großkrotzenburg, Germany (latitude: 50º05'17'' N; longitude 351º 00' 56,4'' W). We are observing at a frequency of 20,1 MHz using the dual dipole antenna and the Radio Jove Receiver. The dual dipole antenna has a stationary position on the flat roof of our school. The setup of our antenna has been changed from EW-in-phase to NS-anti-phase for the reason that Jupiter has a quite low position in the sky of Großkrotzenburg (63º Elevation Maximum). Furthermore we use Skypipe to visualize our data. We give you access to our data via live-streaming. In December 2001 we decided to take part in the German competition "Jugend forscht". On February 7th we went to the local contest of this competition "Hesse-South" and we won the first prize in our category. Over the course of the life of the Radio JOVE project (more than three years now) we have distributed around 400 kits. We hope they have given those who have worked with them inspiration and an insight into the scientific process. The endpoint of this process is gathering and analyzing data then sharing the results with the community. We are doing research about the Jovian radio sources with the data received and we would like to encourage more groups to reach the point of submitting data to a central archive for analysis. We would prefer that the data be sent in the form of log files from Skypipe if possible (.spd files). These are usually generated automatically when using the Skypipe program as your chart recorder emulation software. Be sure to include in the message some indication of which team you are representing. This is open to individuals doing the project as well. 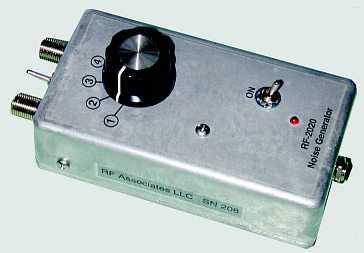 You could win this calibrator by sending us a copy of your Radio JOVE data by April 12, 2002! If you are having trouble getting to the data-taking stage because of equipment problems, you are welcome to send an email describing the problem and we will be happy to try to help. Another way to get help is to join our toll-free teleconferences that we often in conjunction with coordinated observing sessions. On a separate note, we are very interested in how kit construction and usage has gone for you. We intend to get more information about this by calling some of you to ask a few short questions about your experiences with the project. We would like to hear both the positive and the negative. We hope you don't mind being contacted. If you wish to just send an email describing your experiences we would greatly appreciate it. Have you found yourself stumped while building your kit? Have you tried making observations of the Sun or Jupiter and you can't figure out whether the data you've generated makes any sense? If you have run into problems like these and wish there was someone around who could help you you may be in luck. We are putting together a list of Master Helpers. Master Helpers are people who have experience building and operating their Radio JOVE receivers and will serve as mentors for other Radio JOVE team members. We are compiling a list of these helpers from different parts of the country who would be willing to spend a little time with local Radio JOVE teams sharing their experiences and helping them get back on track. If you have built and operated a Radio JOVE receiver and would be interested in volunteering to help please contact us. We will send out an announcement of the list of Master Helpers at a later date.